With spring here I have noticed these wonderful floral patterns everywhere I go. So I wanted to replicate some of these fresh prints onto a knitted hat. With a little colorwork and intarsia I found myself knitting a wonderful vine pattern onto the hat with pink flowers and sky blue. - This pattern requires color working with the intarsia method to knit the green leafy vine around the hat. Pattern includes intarsia chart along with step-by-step instructions and color photos. 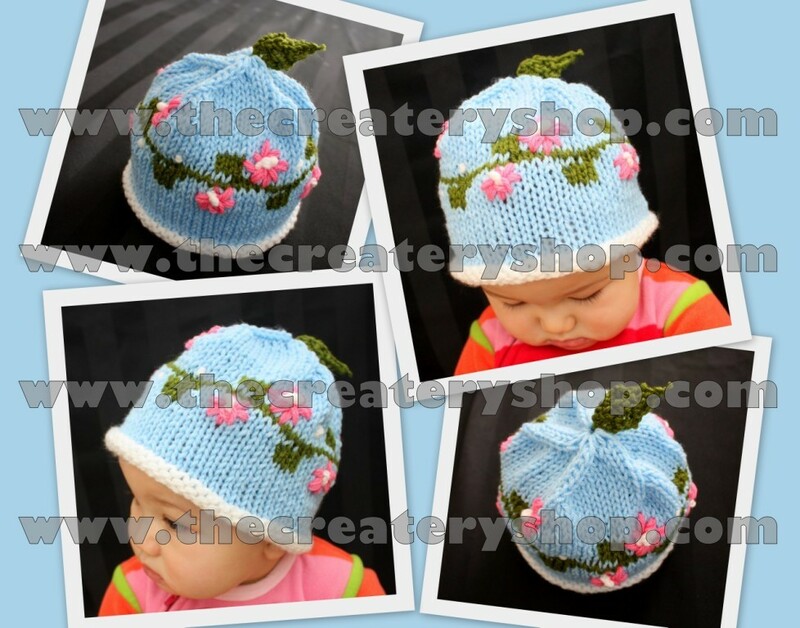 - This pattern requires very simple embroidering of yarn with yarn needle to make flowers.